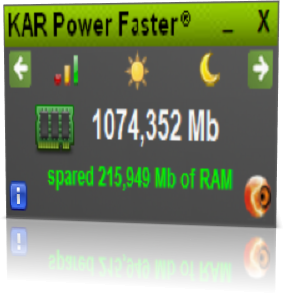 What is KAR Power Faster? 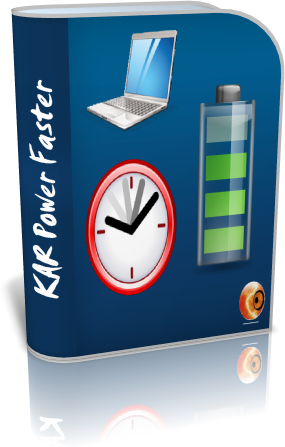 KAR Power Faster is the only software used to optimize the energy power of your laptop, notebook, ultrabook or tablet making it faster and increasing the battery life. The computer will be faster than before because of the RAM management. The battery life will extend and add more hours thanks to the artificial intelligence CPU modulation. The laptop temperature will be cooler than before with the CPU cool optimization. The computer going faster thanks to the RAM management of the applications. The battery will last longer thanks to the intelligent processor clock speed management. 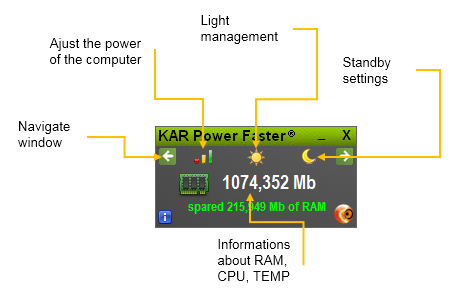 The decreasing temperature thanks to KAR Power Faster.